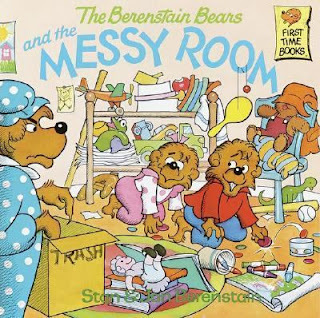 Stan and Jan Berenstain's The Berenstain Bears and the Messy Room. It's a typical Berenstain Bear story, except this time it's Mama Bear who loses it, and Papa Bear who comes in to bring peace, and order. 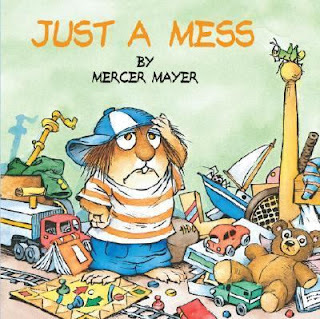 Just a Mess by Mercer Mayer, where Little Critter cleans his room - sort of. 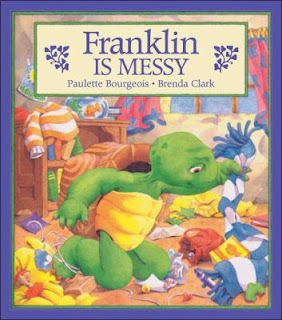 Franklin does a better job at it, with some organizational help from his parents in Paulette Bourgeois' Franklin is Messy. This one is based on the cartoon (or the other way around), which you can watch in two parts, starting here, on YouTube. 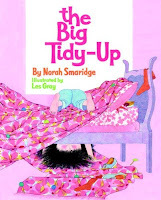 And finally, The Big Tidy-Up by Norah Smaridge, about a little girl who's mother decides to let her live with the consequences of her own messy room. It's old fashioned, but very apt, as the little girl's appearance takes the same turn for the worse as her room, until she decides, for her own sake, to tidy up. The illustrations are darling (you can see some of them for yourself, and get a taste of the text, at the Google Books' preview pages). I'll let you draw your own conclusions about the state of my children's rooms this week, but it's safe to assume, I'm seriously beginning to identify with Mama Bear. 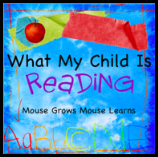 So, while we're busy cleaning, be sure to follow the links below for more family favorites at the What My Child Is Reading blog hop, hosted by Mouse Grows, Mouse Learns. This theme cracked me up! The last book look really cute - I have to look for it. Thanks for joining WMCIR! Oh Bother, Someone's Messy-It's a Pooh book. Oh dear we are tackling room clean ups right now too. Good luck with it. I've been trying to read The Berenstain Bears and the Messy Room and Franklin is Messy to my son for several months now. Every time I pick these books up, he refuses to listen to them. These are the only two books he won't allow me to read. I think he might be avoiding the topic of making a mess and having to clean it up hehehe. We have read all of these and own the last one. I feel better knowing I'm not the only one dealing with this right now!!! I remember that Berenstain Bears book from being a kid. We totally have the same problem right here. 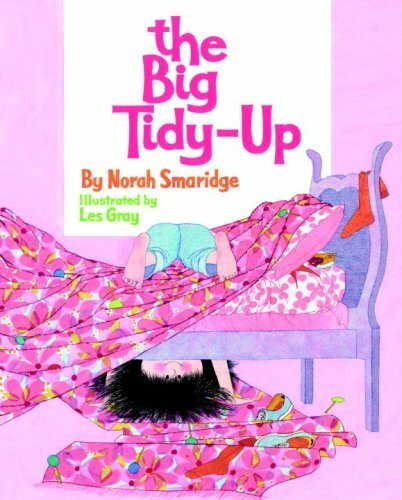 I still have "The Big Tidy-Up" from when I was a kid. It was my favorite (now ratty) childhood book. The inside cover says copyright 1970; mine is from the 1972 "fourth printing." When I was little, I loved to look for the lollipops in the mess. My daughters N & N liked looking for the lollipops too; I had hoped they would find it inspirational.